“safeguard against the potential for inappropriate influence and ensure applications are evaluated in an objective and independent manner”. We therefore strongly believe that the letter by AUC Commissioner amounts to inappropriate interference designed to undermine the objectivity and independence of the GNP. It is our view that as far as the new gTLD Program is concerned, these Ministerial Declarations and Resolutions mentioned in the AUC letter written by Infrastructure and Energy Division do not count as valid endorsements, letters of support or objections. This view has also been reinforced by ICC during their review of endorsement as evidenced in the IRP discovery process. 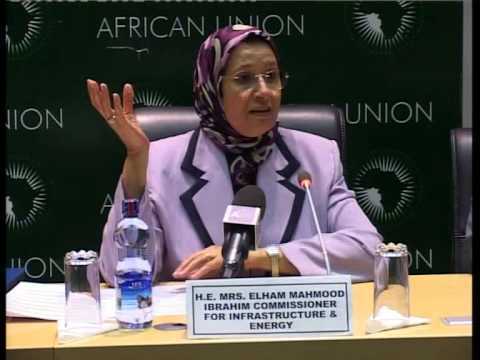 The AUC RFP comes back to haunt the .Africa process. DCA Trust had on numerous occasions questioned the AUC RFP on .Africa and even refused to participate because it was ‘not open and transparent’. Therefore the letter also asks several questions (listed below)that the only the AUC will have a burden to proof or disproof. How was the AUC .Africa RFP conducted? Where is the complete list of firms/companies that responded to the AUC RFP on .Africa? Where are the official minutes of the AUC Tender Board meeting that had been held to deliberate upon, and give consideration to the RFP outcome; and subsequent approval of the evaluated RFP results? Was the .Africa RFP handled by the AUC Procurement Division? And if not; why was the RFP not overseen by the AUC Procurement Unit as per AUC working procedures and official policy regarding RFPs, RFQs, and such like processes that are used to administrate procurement actions? We wish to note that the UNECA letter to the AUC would not have been written if ICANN had not “resumed the evaluation” of DCA Trust’s .Africa application after the Final IRP decision was issued in July 2015. “Pursuant to the ICC’s advice, the UNECA’s endorsement was taken into account. Like the AUC, the UNECA had signed letters of support for both DCA and ZACR.82 The ICC advised that because the UNECA was specifically named in the Abuja Declaration, it too should be treated as a relevant public authority. 83 ICANN accepted the ICC’s advice”.